Brian P. Jett is a Member in the Energy industry group, specializing in oil and gas matters. He practices out of the Firm’s office in Morgantown, West Virginia. Adept at coal, oil, and gas matters, Brian enjoys building and maintaining relationships with his clients and finding solutions to the various problems and issues they face. His practice focuses on complex coal and oil and gas title opinions for West Virginia, Pennsylvania, Ohio, and Colorado. He is experienced in conducting legal research and analyzing coal, oil and gas title issues, specifically tax sale irregularities, royalty versus oil and gas in place reservations, invalid and/or incorrect assessments and adverse claims on title, and acreage discrepancies. Additionally, Brian has assisted on several midstream operations pipeline projects. 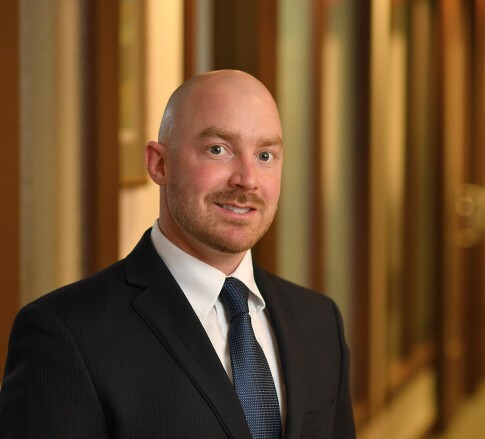 Prior to joining the Firm, Brian served as a title abstractor for a West Virginia‑based company where he researched surface and mineral title ownership, completed title files for lease take‑offs and prepared reports for clients and attorneys regarding oil and gas ownership. He also served as a petroleum landman for a land company where he negotiated and reviewed oil and gas leases. Brian received his law degree from West Virginia University College of Law, where he participated in the Clinical Law Program. He earned his bachelor’s degree in business administration from Fairmont State University, graduating with honors. Outside of his practice, Brian enjoys outdoor activities, exercising, traveling, and going to sporting events.